Shaun of the Dead is a hilarious film about a world plagued by the living dead. And now, you can show your love of this great movie with the Zombaid T-Shirt, a shirt that will undoubtedly attract the eyes and envy of fellow fans! Made from 100% cotton, this shirt is not only fun but also comfortable to wear. 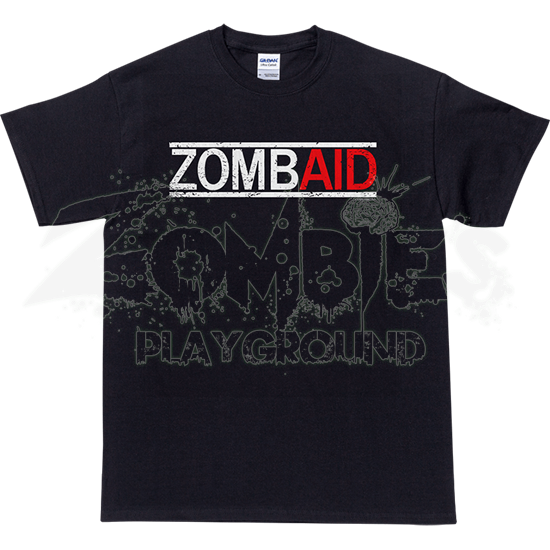 Written across the front of the t-shirt is the Zombaid logo, which features Zomb written in white and Aid in red, with white lines on the top and bottom. 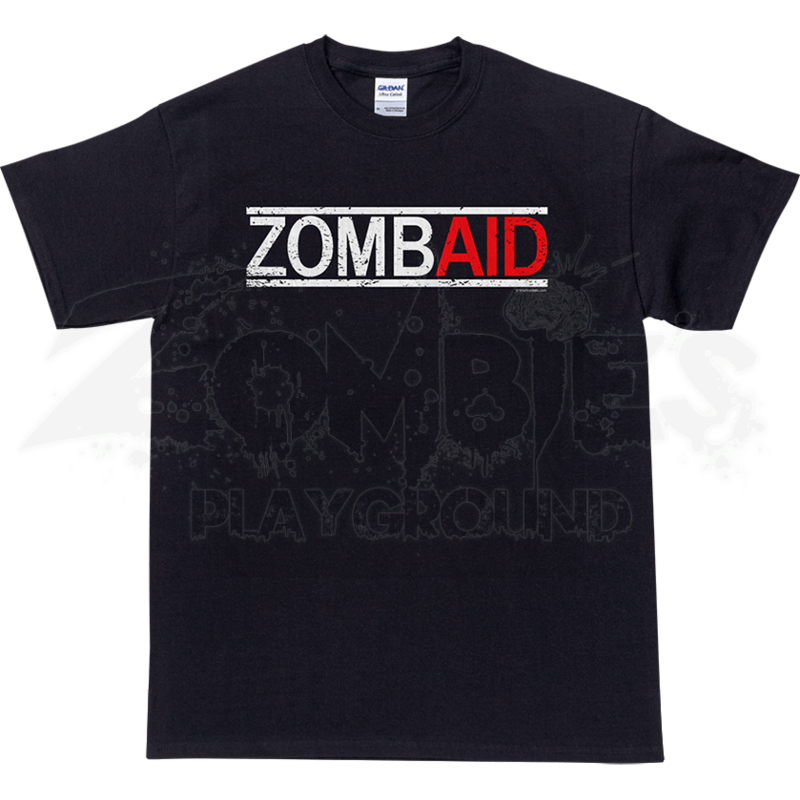 Inspired by the shirt worn in a cameo by Coldplays Chris Martin, the Zombaid T-Shirt is the perfect way to incorporate zombie style into your wardrobe.